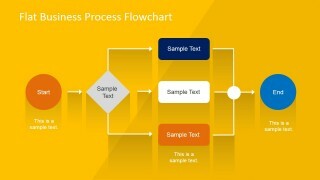 Showcase a dynamic workflow presentation using the Flat Business Process Flowchart for PowerPoint. 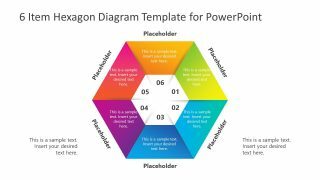 This creative PowerPoint template is highly usable on its own or with our other PowerPoint charts. 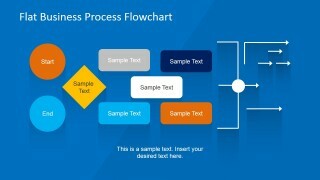 Process flowcharts are an important business tool in managing complicated procedures. Often times, there are a lot of settings and options in workforce operations that can cause conflicting results. There are also standard operation procedures that need to be followed by a lot of people in the organization. If these procedures are newly formulated or not often encountered, there’s a risk of choosing the wrong step which will cause an unproductive activity. 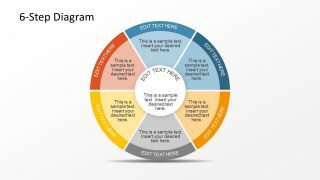 Process flowcharts assists in teaching an individual or group of individuals specific instructions for certain processes or procedures. It’s an efficient instructional diagram that can be used repeatedly by a lot of people in the organization. For example, if an employee encounters a process situation that has a flowchart diagram, that employee can simply refer to the flowchart and discover the solution from there instead of approaching his or her superiors for help. 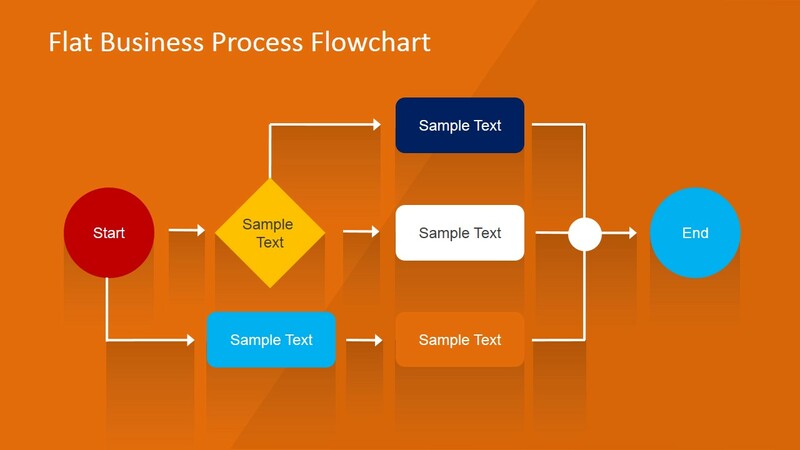 To successfully create a useful flowchart, it’s important to conduct relevant research about the process and all possible scenarios involving this process. 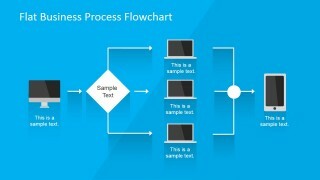 A good process flowchart must have contingency routes for all related situations. 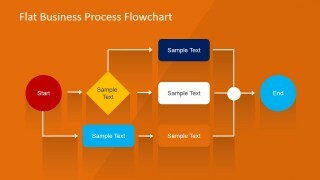 Process flowcharts are mostly present in service oriented businesses such a contact center unit. Contact center employees usually deal with individual customers of a company. Due to the nature of their role in the organization, they often encounter business situations unique to each individual customers they communicate with. As the front-liner of the business, they are also accountable to the immediate resolution of customer issues. An available flow chart for complicated situation helps in making swift and accurate decisions in just a small amount of time. 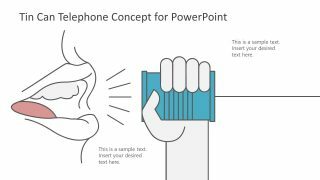 This increases efficiency and productivity for the contact center employees who usually interact with a lot of customers on a daily basis. 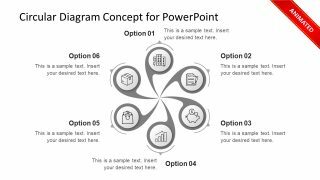 All the elements of the Flat Business Process Flowchart for PowerPoint are created as PowerPoint shapes, allowing the user to fully customize their appearance without losing visual quality.